If you look at all the top riders out there, no one is rolling a complete from a single manufacturer. Riders like to put together their own mix of parts from every brand to come up with the scooter that is the best for them. This is true for more experienced amateur scooter riders as well. 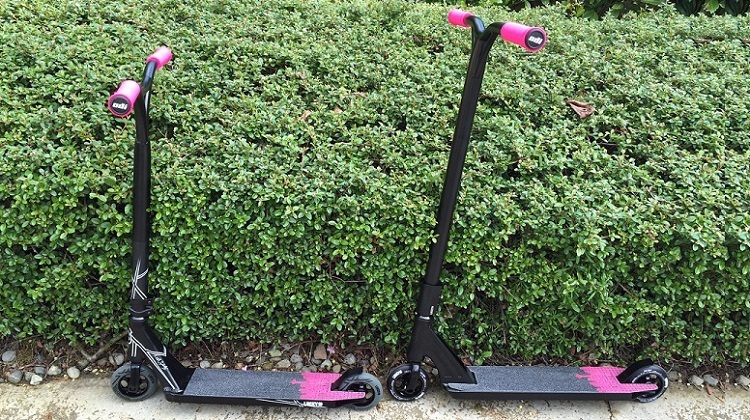 If you have a vision of the perfect scooter for you, we can build it. Custom colors, sizes, wheels. Pretty much anything you can thing of we can make happen. Our most common builds are completes that are made from components from different brands. For example, a customer might really like a Lucky Crew deck, wheels from River, and a bar from Envy. We can easily make that happen. We are able to do custom paints and finishes on all scooter parts from all manufacturers. Want a color combination that is not offered on the scooter you want? No problem. We also can strip finishes from everything in case you want a raw scooter. We have hundreds of different paint colors available and we can do a variety of powder coats as well. We also do a lot of completely custom work. We can modify parts from manufacturers and we can machine custom aluminum parts in house. We can cut existing decks to make them shorter. We can make custom bars that are taller than any that the major brands offer (this is popular with really tall riders). We have even made a completely custom aluminum deck from scratch. If you would like more information on building a custom pro scooter, please fill out our request a quote form and we will get in touch with you shortly! Sign up for our email newsletter if you want to be kept up to date on all the latest products from the leading pro scooter brands. Want to get in touch with us? 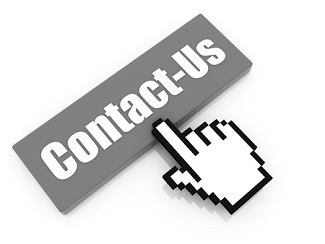 Click on "contact us" below and fill out the form to send us a message.